Flower Quotes And Verses New And Old. Here I have gathered all of the flower quotes from this site - in the same place - as well as many others which I love. This page is just about general flower quotes, both old and new. They can be used in so many different ways. You can now go also to: more flower quotes, funny flower quotes, sweet flower quotes and quotes just about roses. I am always on the lookout for more. Feel free to use them and enjoy them! "Oh, heart, if one should say to you that the soul perishes like the body, answer that the flower withers, but the seed remains". Kahlil Gibran. "Look at us, said the violets blooming at her feet, all last winter we slept in the seeming death but at the right time God awakened us, and here we are to comfort you". Edward Payson Rod. "Each flower is a soul opening out to nature." Gerald De Nerval. "The flowers of late winter and early spring occupy places in our hearts well out of proportion to their size". Gertrude S. Wister. "Where flowers bloom, so does hope". Lady Bird Johnson. Enjoys the air it breathes!" William Wordsworth. "The Rose has but a Summer reign, The daisy never dies". James Montgomery. "Let us be grateful to people who make us happy, they are the charming gardeners who make our souls blossom". Marcel Proust. In a silent hymn of praise". Henry Van Dyke. Blue as the skies up in Heaven above". Anon. "Mourn, little harebells, o'er the lea; Ye stately foxgloves fair to see! Ye woodbines, hanging bonnilie In scented bowers! Ye roses on your thorny tree The first o' flow'rs". Robert Burns. and the soil and sky as canvas". Elizabeth Murray. "Happiness radiates like the fragrance from a flower and draws all good things towards you". Maharishi Mahesh Yogi. "As for marigolds, poppies, hollyhocks, and valorous sunflowers, we shall never have a garden without them, both for their own sake, and for the sake of old-fashioned folks, who used to love them.” Henry Ward Beecher. The message of some God." Henry Wadsworth Longfellow. 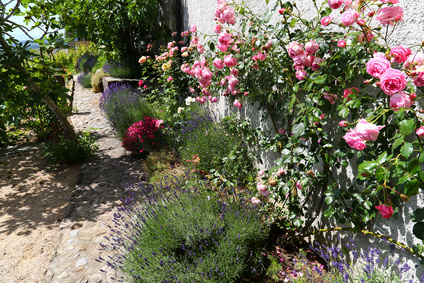 "Gardening is medicine that does not need a prescription ... And with no limit on dosage". Anon. "The flower that follows the sun does so even in cloudy days". Robert Leighton. "Remember that children, marriages and flower gardens reflect the kind of care the get". H. Jackson Brown, Jr.
Like the most beautiful flower that you can find". "I hope some day to meet God, because I want to thank Him for the flowers". Robert Brault. "Flowers are those little colorful beacons of the sun from which we get sunshine when dark, somber skies blanket our thoughts". Dodinsky. "Pick a flower on Earth and you move the farthest star". Paul Dirac. "Pluck not the wayside flower; It is the traveler's dower". William Allingham. "When you have only two pennies left in the world, buy a loaf of bread with one, and a lily with the other". Chinese Proverb. "Flowers are restful to look at. They have neither emotions nor conflicts." Sigmund Freud. "Flowers: The poet's darling". Wordsworth. "May our heart's garden of awakening bloom with hundreds of flowers". Thich Nhat Hanh. "Flowers continuously bloom and die, just like love". Kazi Sham. "Here are sweet-peas, on tip-toe for a flight: With wings of gentle flush o'er delicate white, And taper fingers catching at all things, To bind them all about with tiny rings". John Keats. "Give me odorous at sunrise a garden of beautiful flowers where I can walk undisturbed". Walt Whitman. 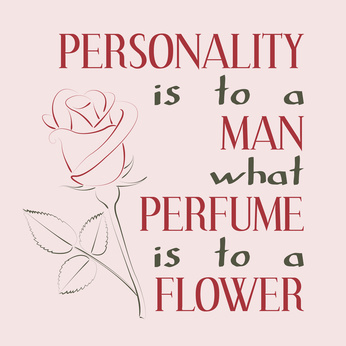 "Perfumes are the feelings of flowers." Heinrich Heine. "Flowers leave some of their fragrance in the hand that bestows them". Chinese Proverb. "Flowers are love's truest language". Park Benjamin. "All the flowers of all the Tomorrows are in the seeds of Today". Indian Proverb. "With a few flowers in my garden, half a dozen pictures and some books, I live without envy." Lope de Vega.